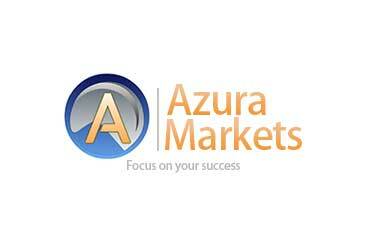 Azura Markets is a new broker for the online forex trading that is established out of New Zealand. Registered with the Financial Services Provider Register, the broker Azura Markets falls under the sight of the New Zealand’s Financial Market Authority. These brokers offer their traders with four various types of trading platforms to select for performing online forex trading. They include Azura Markets MetaTrader 4 Client Terminal, WebTrader/Mobile Platform, MYFX Console, MAM Trading Tools. They provide Attractive No Deposit Bonuses to their traders making them feel the broker as one of the best forex broker. They do not allow requotes and hence they have no policy for requotes. The broker is committed to service clients in providing their best to the traders. They have 3 types of trading accounts from which the traders can select their preferred and the apt one. The types of account are Mini Account, Standard Account, King Account. All of the above mentioned accounts vary by the minimum deposit demanded by the broker. Mini Account – requires a minimum deposit of $250. This is simply an entry level account that is chosen majorly by the novice traders. Standard Account – requires $1000 and it is chosen by the intermediate level traders. King Account – is one which requires $10000 as the minimum deposit. The level of features and provisions offered by the brokers vary between the 3 types of accounts. Unlike the common forex brokers, Azura Markets don’t charge their trades for the using their services. Instead of charging the traders, these brokers require them to pay a little wider spread on the performed trades. Azura Markets are the brokers who understand the importance of the customer service to their clients. They believe that the traders can invest their time on their trading when the customer support is good. Azura Markets have always been connected their clients through multiple channels like email, live chat, Skype and phone on a 24/5 basis.